Third sister of the Nakano Quintuplets. She is a silent and reserved girl. 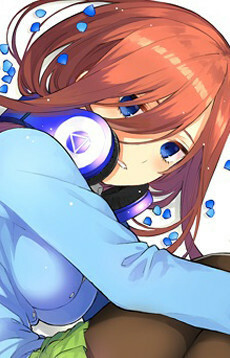 Miku tends to have a pessimistic attitude and little confidence regarding herself. Due to Fuutarou's influence, she's the first among the sisters who open up to him. Miku likes Japanese History (especially Generals from Sengoku Period) and greatly influenced by their philosophies, to the point of affecting her real-life behavior.